Attendees fill the lobby of the Edinburg Regional Medical Center during the Bloom event Saturday, April 21, 2018, in Edinburg. Mom-to-be Briana Arzate strolled through the corridors of Edinburg Regional Medical Center with her essential snack — popcorn — tucked away in her bag. As first-time parents, she and her partner attended Bloom — an event dedicated to new and expecting moms — to gain insight from medical practitioners and socialize with a community of persons approaching parenthood. Arzate is in her second trimester and will be welcoming a baby girl, who seems to have developed an appetite for popcorn and macaroni and cheese, according to her cravings. The event, now in its third year, was hosted by the Rio Grande Valley Mom’s Blog to provide resources for anyone new to, or considering, motherhood. 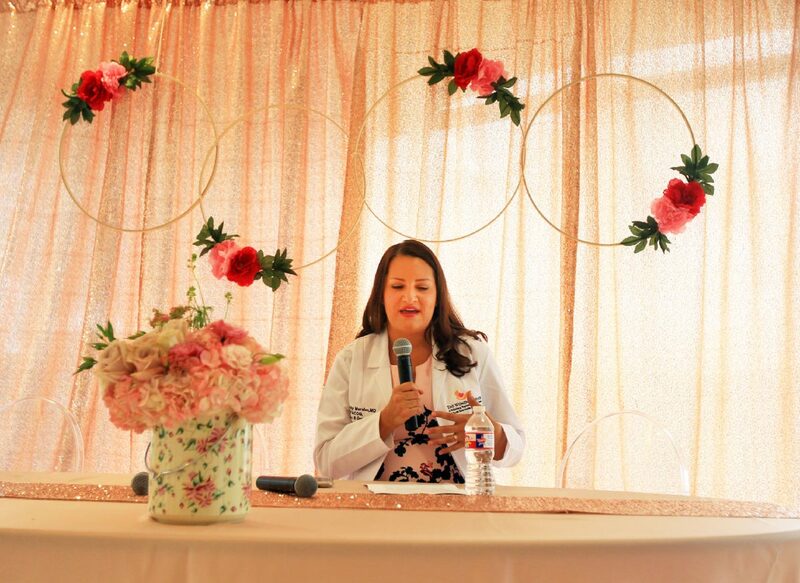 Dr. Kristy Morales, OB-GYN, speaks to attendees as part of a medical panel during the Bloom event held at the Edinburg Regional Medical Center on Saturday, April 21, 2018, in Edinburg. 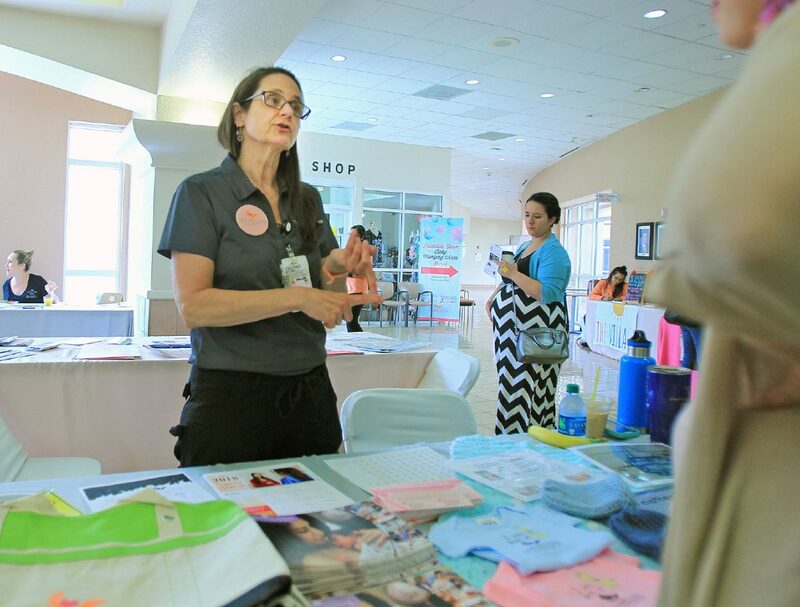 Karin Hall, RN, talks with new and expectant mothers during the Bloom event held at the Edinburg Regional Medical Center on Saturday, April 21, 2018, in Edinburg. 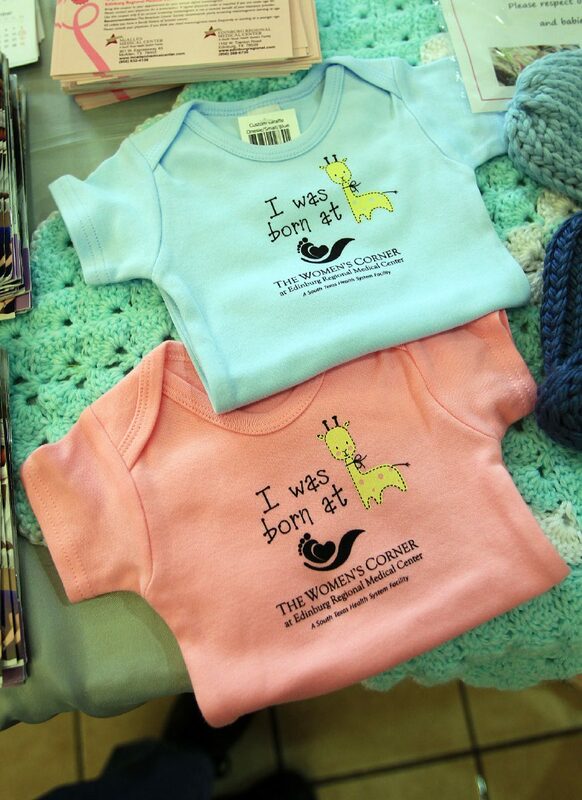 Clothes for newborn babies are on display during the Bloom event held at the Edinburg Regional Medical Center on Saturday, April 21, 2018, in Edinburg. Rows of sponsor booths demonstrated products and informed about services related to health and parenting life. Anastasia Perez, owner of the blog, mingled with visitors, helped distribute goodie bags and shared her own motherhood experiences. For this reason — to unite women going through similar motions and provide support — the blog was created. 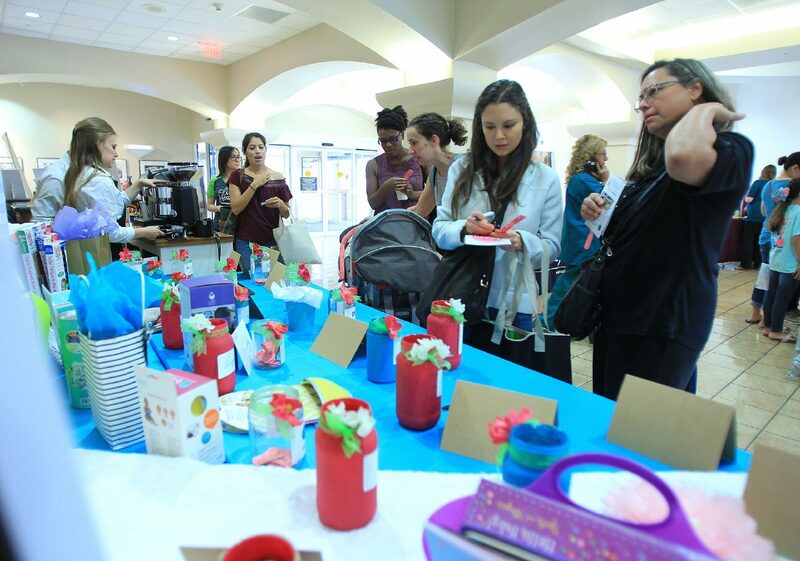 While attendees sat enjoying appetizers and pastries from the designated “cravings station,” medical professionals addressed concerns regarding what motherhood entails and how to be prepared. Striking a work-life balance, said Arzate, who works as a school counselor and plans on being a working parent, is a matter at the top of her head. In hearing from professionals and steering clear from the well-known spiral of Google searches, Arzate said she felt more equipped for the days ahead of feeding, diaper changes and watching her child blossom. Maintaining optimal nutrition, said registered nurse Karin Hall, is essential for a healthy pregnancy. She encouraged expectant moms and everyone to shop around the perimeter of grocery stores where produce and lesser-processed items tend to be located. Serving on the expert panel for his second year in a row, Dr. Ebenezer Nii-Moi, an OB-GYN at the facility, emphasized the importance of prenatal care, attending regular checkups and complying with doctor’s orders. With a play corner set up with mats and an array of toys, the environment was child-friendly. Bloom, said Perez, is always an event the online community looks forward to because it allows moms to connect.